Godox have released the TT520 Speedlite, an off-camera flash priced under US$50. Hong Kong: Chinese manufacturer Godox have released an affordable off-camera hotshoe flash on eBay. 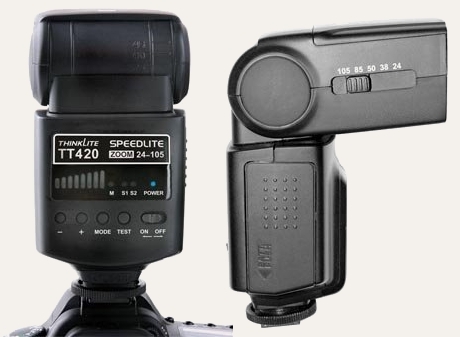 The ThinkLite TT520 is the latest brand for a flash originally named the Sunpix SP46. Like the similarly-priced Yongnuo YN460-II, the TT520 is manual only with two optical slave modes. However, the Godox flash has a wider power range (full to 1/128). The manufacturer’s product page also shows a TT420 model with a manual zoom head from 24-105mm. The Godox ThinkLite TT520 is available on eBay for US$48.00 / £30.99 including free international postage from Hong Kong.